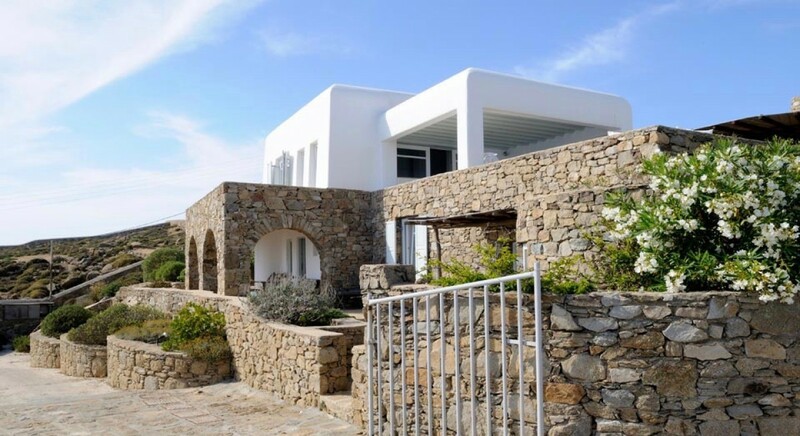 Villa Tom Mykonos. 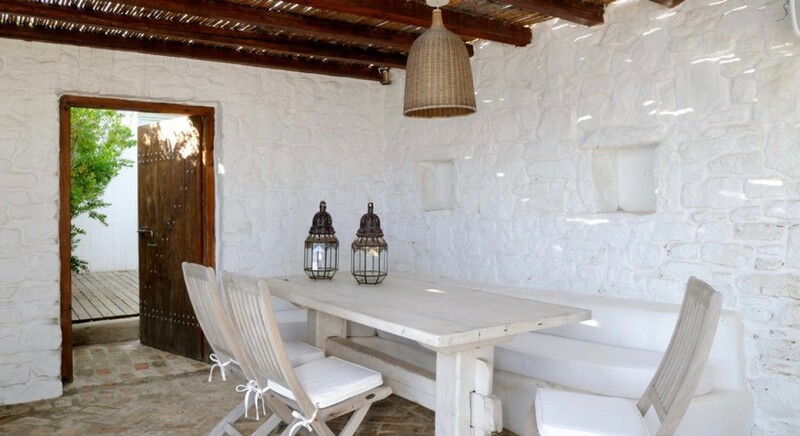 Have you been dreaming of a luxurious holiday in an authentic, Cyclades-style property? 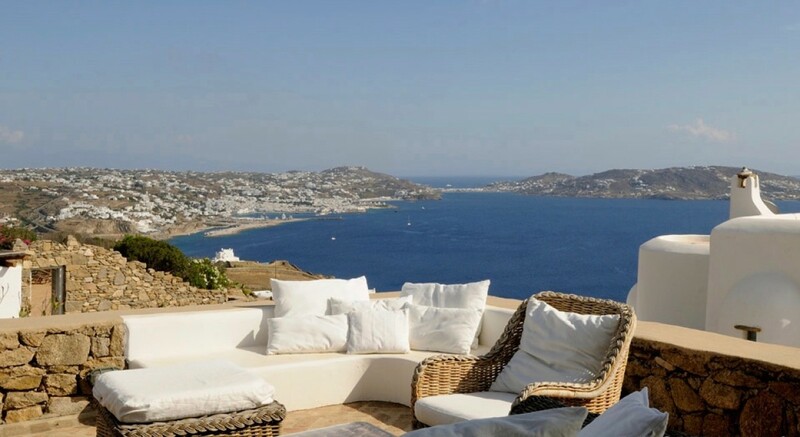 If so, the charming Villa Tom in Mykonos is just the thing. 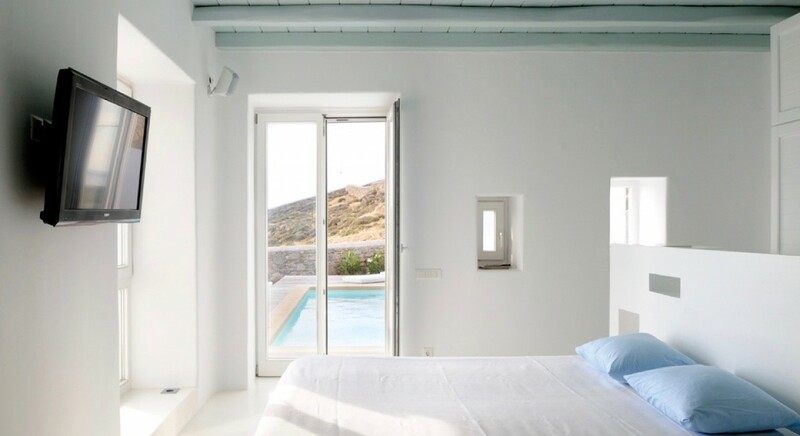 Set on a hill that overlooks Mykonos port, it is a four-bedroom property with the appealing cubist lines and bold white hues that so define the region's architectural and design styles. 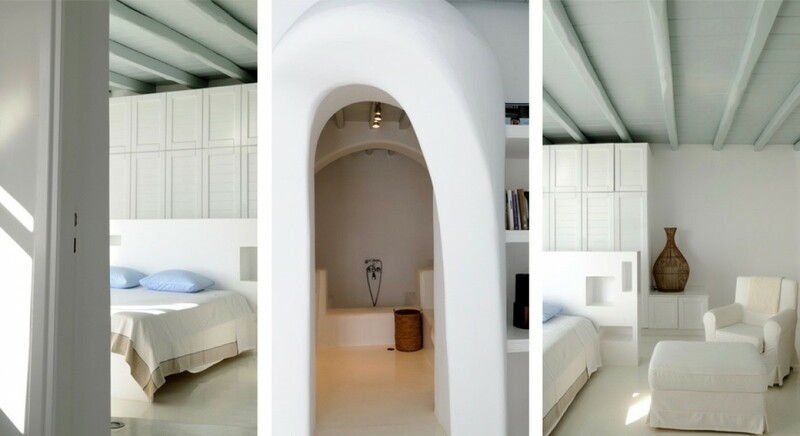 Blending natural materials such as stone and wood, it is visually stunning. The property features verandahs and outdoor living spaces that make it a wonderful spot for taking in the island views. 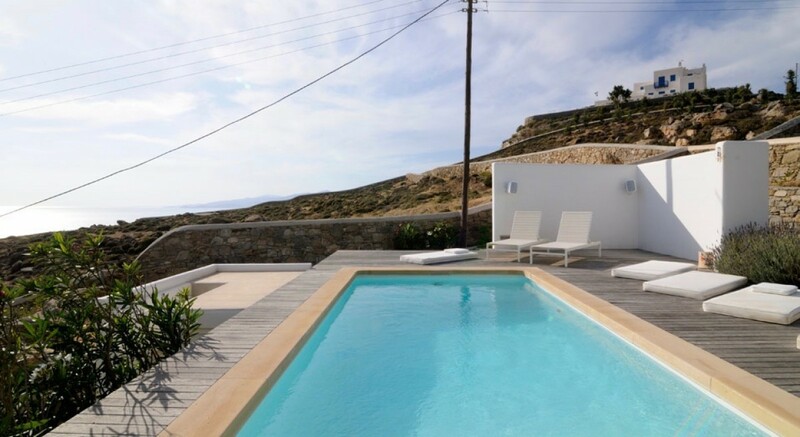 There is a fantastic wooden pool terrace with sun deck and lounge space. There are stone terraces where you can dine al fresco or lounge in the cool shade. 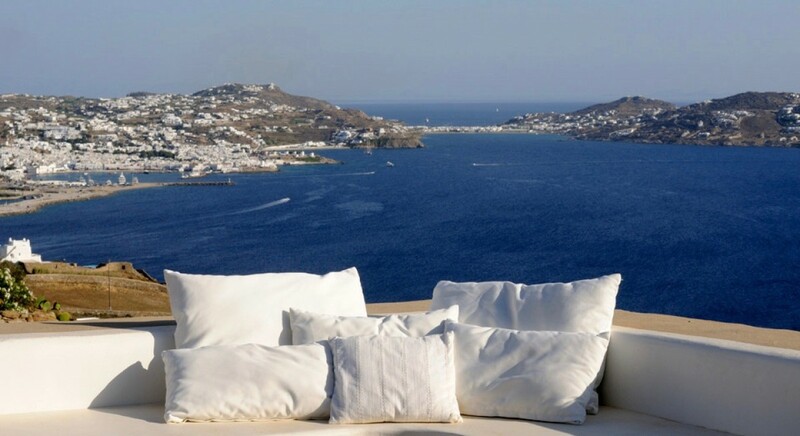 There are open air terraces ideal for gazing at the sunrise or sunset over the sea. 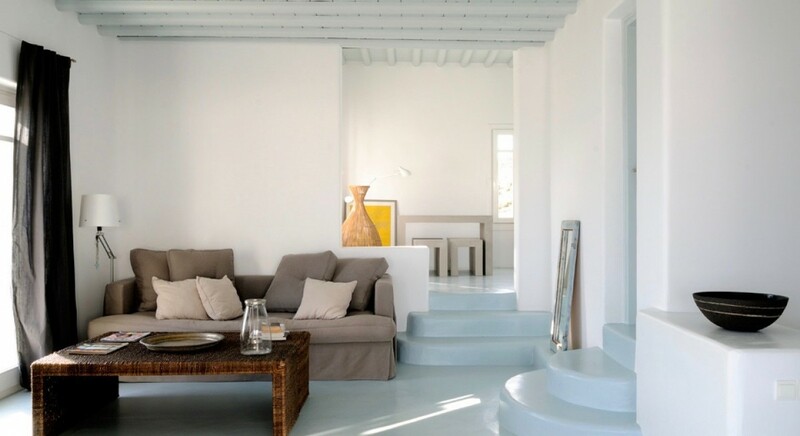 The interiors are just as appealing with pale blue floors and ceilings and white walls all being balanced by the use of darker hued furnishings and upholstery. A sunken living room is the perfect spot at any hour, the fully equipped gourmet kitchen is ideal for groups of any size, and the bedrooms are masterfully designed, too. 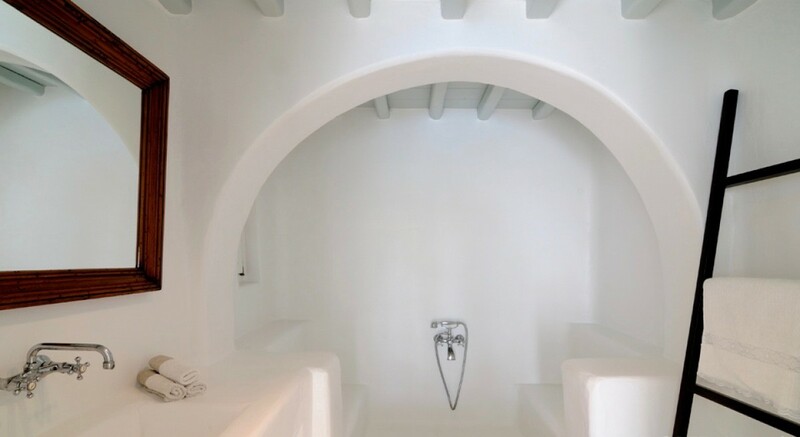 The main house bedrooms include a ground floor master suite that opens to the pool terrace and features a large, ensuite bath. There are two additional bedrooms on the upper floor, and both feature ensuite baths and stunning sea views. 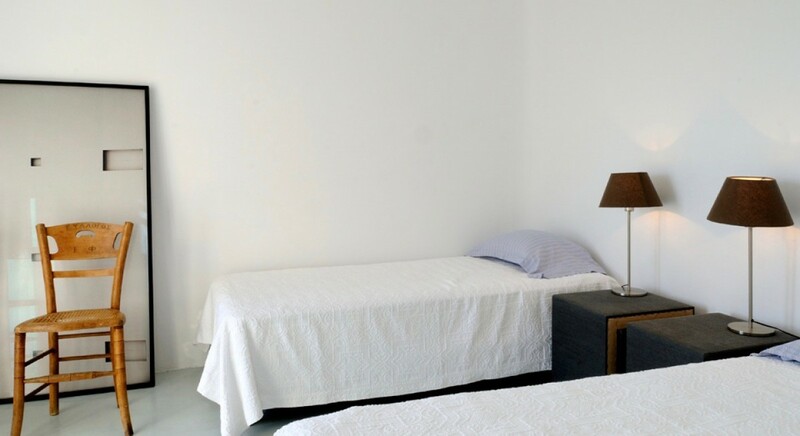 The guest house features a double bed, bath and lovely terrace. 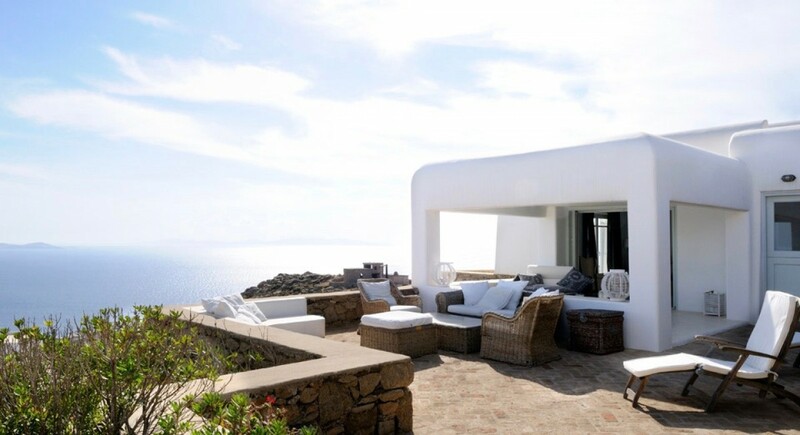 With its stepped terraces, gardens, and non-stop views, the Villa Tom allows you to really experience Mykonos. 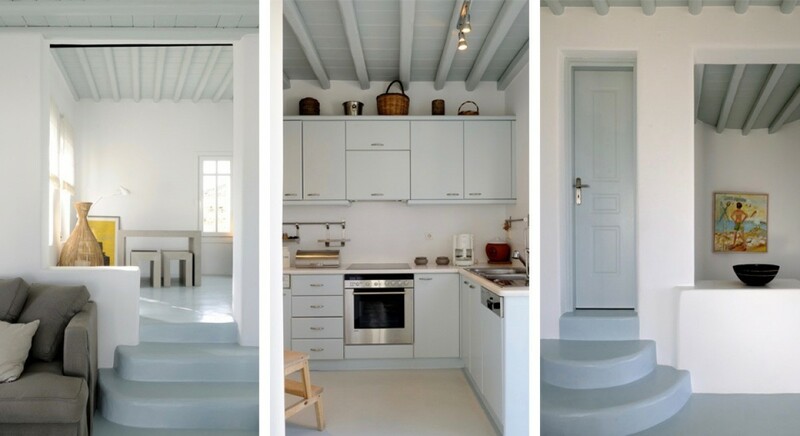 Its welcoming and stylish living spaces encourage you to make the very most of every moment. Whether your goal is to catch up with friends around the pool, savoring delicious foods from the port below or to explore the island, it is a truly luxurious and premium base. Bedroom 1: Ground floor Master bedroom with a double bed, TV, access to pool terrace and en-suite bathroom shower, vanity and WC. 2 guests maximum. 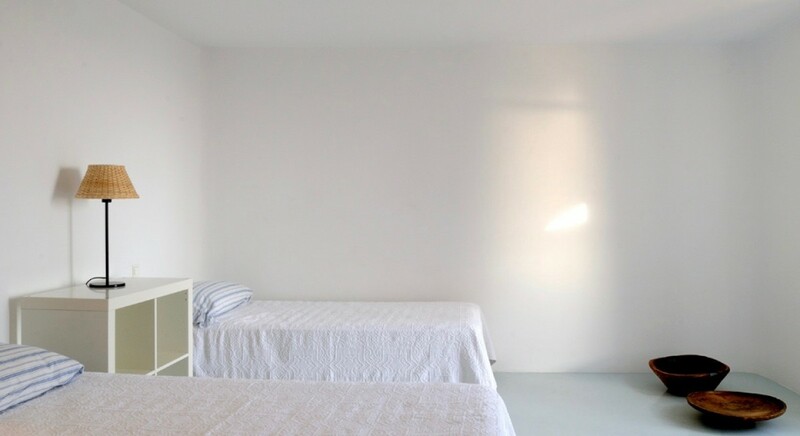 Bedrooms 2 & 3: First floor bedroom with 2 single beds and en-suite bathroom shower, vanity and WC. 2 guests maximum. Bedroom 4: Bedroom with a double bed and en-suite bathroom shower, vanity and WC. 2 guests maximum.